A 56-year-old lifelong resident of Brownsville is facing federal charges stemming from accusations that he shot at undocumented immigrants who trespassed on his Southmost property last week. 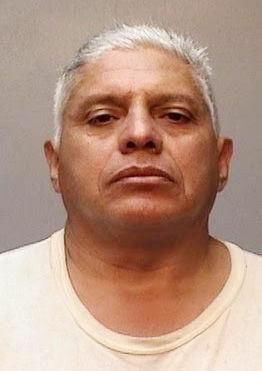 The Brownsville Police Department arrested and booked Enrique Fernandez last Thursday on a charge of unlawfully discharging a firearm in a municipality after Border Patrol called the Cameron County Sheriff’s Department to report hearing gunshots on the 8300 block of Southmost Boulevard on a private property near Sabal Palm Sanctuary while responding to reports of undocumented immigrants. A federal criminal complaint against Fernandez provides new details into the incident, including that the man told authorities that he shot into the air three times to scare the undocumented immigrants rather than shooting at them. Fort Brown Border Patrol agents reported hearing the shots and observing Fernandez after seeing undocumented immigrants enter the property. The agents questioned Fernandez who told them he fired the shots because he saw people near some palm trees on his property, court documents indicate. The agents called the Cameron County Sheriff’s Department who turned Fernandez over to the Brownsville Police Department. Fernandez’s attorney, Reynaldo “Trey” Garza, said Monday morning outside of U.S. Magistrate Judge Ignacio Torteya III’s courtroom that his client never shot at anyone, adding that Border Patrol chased the undocumented immigrants onto his property where they hid under cars and in bushes. “He wanted him them off the property,” Garza said, adding that the man lives with his mother and father, who is ill.
Garza said he plans to ask for probation in the case. Federal authorities filed the criminal complaint last Friday. In the early 1990s, Fernandez was convicted of possession of a controlled substance and received a 23-year sentence, according to the complaint. Torteya ordered the man be held temporarily without bond pending a scheduled Nov. 8 probable cause and detention hearing.